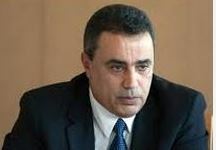 Interim Prime-Minister Mehdi Jomâa of Tunisia has offered to host the next World Investment Forum (WIF), scheduled to take place two years from now. In Geneva for the 2014 WIF, an event organised by the United Nations Conference on Trade and Development (UNCTAD), Mr Jomâa said his country – which he called a “start-up democracy” – is fully committed to pushing through broad economic reforms that will provide investors with a full range of opportunities. The prime-minister added that Tunisia has already proved its attractiveness to investors and is putting a framework in place that aims to ensure that investments benefit the entire society. Later this month, Tunisians elect a new parliament while presidential elections are scheduled for November 23 with a second round of voting taking place on December 28. This is the second election cycle since the Jasmine Revolution of January 2011 ousted the administration of long-time president Ben Ali. The upcoming elections are widely considered to return Tunisia to sustained economic growth. While GDP increased 2.8% in 2013, the country is still suffering the aftereffects of the political turmoil that followed in the wake of the revolution. So far this year, tourist arrivals are still 17% lower than in 2010. Though elevated unemployment levels contributed to the ousting of President Ben Ali, the joblessness rate today stands at 15.7% and remains significantly higher than in pre-revolutionary times. However, Prime-Minister Jomâa is optimistic and emphasised in Geneva that his country unites all the conditions conducive to profitable investments.